I’m really enjoying the extra time I get to spend in my studio these days. It feels like I have lots more opportunities to explore different avenues, instead of constantly working to deadlines. Also, my research into medieval art seems to have finally been fruitful! 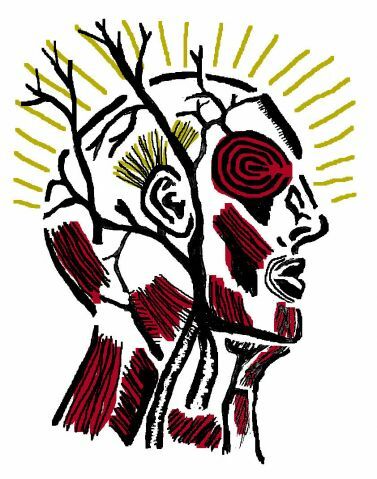 I’d decided on cutting out acetate stencils to use in screenprinting, in order to create a woodcut effect. This would allow me to produce images quicker, and also make it possible to experiment with moving the images around on the same screen. I’d photocopied some of my sketchbook drawings onto acetate to develop the images, and realised I’d need to adapt the drawings slightly to create connecting areas within the stencil. However, in the process of scratching the toner off, I noticed that it left a really interesting textural quality similar to that of a woodcut produced with a soft roller. I also realised that I could use this technique to draw into toner on acetate to create monoprint style screenprints in future. All in all, it was a very productive session. It’s only been a week, but I haven’t yet heard anything back about my submission for the conference that I made. I’m still a bit nervous about being selected, but keep trying to remind myself that I’d only be talking about my own work. Also, this is the sort of thing I will be doing more of, so it’s good to make a start. With that in mind, I headed off to my first lot of professionalism training to learn how to produce more effective presentations. The session was, as one might expect, a run-down of what presenters need to think about when speaking at conferences, essentially what to say and how to say it, or as the trainer put it; the visual, the vocal and the verbal. It was fairly informal and gave people a chance to practice speaking, as well as laughing at the trainer’s example of a ‘bad presentation’. There was also information about number and timing of slides (about one a minute), and the sort of information to include as part of the presentation. It all seemed like common sense, but was good to be able to pare it down into simple instructions. After a morning discussing the vocal and the verbal, it was on to an artist lecture which discussed work exploring exactly that topic. Laura Malacart was the artist in question, and presented work that used ventriloquism to deconstruct voice agency. She was particularly interested in the paradox of a scripted conversation within performance, and enacted this through lip-synching to a recording of her own voice as part of ‘conversational’ art works with the audience. I was most interested, however, in her ongoing project, Voicings, which developed after working in a language school with a group of refugees. As part of their lessons, they were asked to write a monologue about their own experiences of trying to be understood in a foreign country. She employed classically trained British actors to recite these monologues (including the mistakes), after only having one hour to learn them. The resulting video works showed the actors struggling to remember their lines, often repeating themselves. The dissonance between the upper class British accent, and the vocabulary of the refugees, exposed the idea of power relations within the voice, denoting experience of class and culture; a formal and political tool which echoed the artist’s own experiences and inability to articulate herself. My particular interest in Laura’s work, however, was in how she had consistently managed to present ‘marginal voices’ in a way that wasn’t exploitative, as can sometimes be a criticism of artists working in a social context. Working with ritual, this is definitely a core feature of my work, and it was really useful to see how other artists approach this successfully. This week I submitted my first ever conference abstract. I was a bit nervous, so I did a bit of googling to find out what was involved, (what did people do before the internet?). For people who have also never written an abstract before, or just want a succinct way to publicise their research, there are a few main points to remember. The word limit is generally around 250-300 words, and is intended as an overview of the research. The first paragraph should contain a background of your specific field, including the problem you wish to address. The second paragraph includes information about your experience and methodologies applied to the issues. The last paragraph concludes your findings and suggests further developments in the field. This particular conference was an annual event for Art Historians to share developments in the professional practice and understanding of art history, and, although I am fairly well versed in the Western Canon, I was still a little nervous about presenting my work in front of a room full of seasoned academics. However, the specific session that I’d seen advertised was about curating the book in a museum context, and was organised by a curator at my university. Given that this is exactly the kind of thing that I do in my practice, it seemed like a perfect opportunity, so I typed my 250 words and pressed send. Ever since the artist talk I attended on Neomedievalism, I’ve been finding more and more relevance between that and my work in the context of contemporary art practice. As I’d recently been considering the symbolism within historical artworks, I decided to try to determine some fundamental aspects of the Medieval time period. I began by listing the main features that I could see in the work, just as I would in an interpretation exercise. Particular observations included bold black lines, a flat plane, portraits tended to be in profile or ¾ poses, and lots of smaller scenes made up one image. 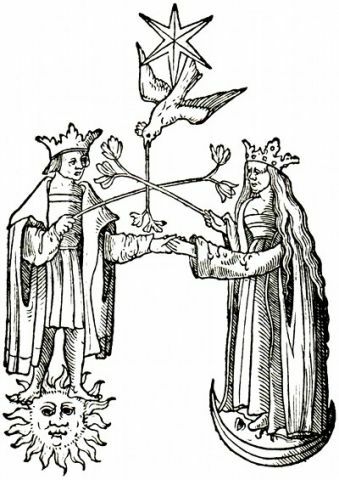 A popular technology for producing images at the time was woodcut, and a search online for medieval images actually led me to a site of alchemic woodcuts, bringing me full circle to the link between art, science and magic again. As an aesthetic, I quite like woodcuts, but I settled on using screen print with acetate stencils for expediency in the first instance, as I felt it would create a similar effect. Illustrated manuscripts are also a big feature of the Medieval landscape, which given their inherent link to books, created yet another avenue to explore, in the form of calligraphy. Although as an artist, I think I have fairly good drawing skills and hand/eye coordination, my handwriting is pretty apalling, as it’s mainly a way to get thoughts out of my head and onto paper quickly. Despite this, I thought I’d give it a go so I bought a book and started to practice. I was actually pretty pleased with the results and resolved to figure out a way to include it in my work. The more I consider the idea of symbolism and meanings within art, the more I come to see the work as a kind of personal language. I think this is also a good analogy for interpretation, as one wouldn’t attempt to read a book in a foreign language without first understanding what the words meant. However, in contemporary art, this language can be difficult to decipher, because, unlike historical bodies of work, we are not looking retrospectively at the connections within the oeuvre of an artist. So the question is, how can we apply that knowledge to the present? I’m slowly starting become more confident in my new academic role, but as the weeks progress, I’m finding it incrementally more confusing. The more I read, the wider my research question becomes, and given that I’m looking at theoretical and practical modes of enquiry, the list of related interests is increasing exponentially. A major element within the scope of my thesis is exploring the agency of an object within ritual, in other words, what does the ‘work of art’ do? So far, this has led to me researching medieval manuscripts, the history of science, calligraphy and masks, to name but a few topics. So began the theme of my 2nd supervision meeting, where, although I’d been working almost constantly, and collected lots of relevant information, I had very little practical work to show for it. Thankfully my supervisors were still happy with my progress and we agreed that I should shift my focus towards making for a while. I still think juggling all these separate but related tasks is going to be the trickiest part of the process. Although, as I filled in my monthly report on the PDR, I have to admit I felt a perverse satisfaction at being able to complete the part where it asks if there was anything I’d struggled with this month. I’m not sure what that says about me. I’ve been thinking a lot about the meaning of art and how people interpret and understand objects. This came out of reading about how artists in the past used images from encyclopedias of allegory to represent ideas within their work, which clearly expressed to the audience how they should read the painting. As such practice is now no longer commonplace, we rely on dialogic, or intertextuality to deduce implied meanings with artworks. This allows for greater freedom of expression on the part of the artist and audience, but also frustration, due to the meaning never being fully articulated in concrete terms. I had considered reading more about ontologies of art, but after some cursory searches realised that this might take me further away from my research proposal. No sooner had I decided that, than I was invited to a colour communication lecture by a friend and colleague studying a Practice-led PhD in the School of Design. The lecture was actually pitched at textile design students so was a lot more technical in relation to colour swatches and the like, but I enjoyed it anyway, and learned some interesting things about colour and language. For example, it seems there is a pattern to the way that developing languages name colour. 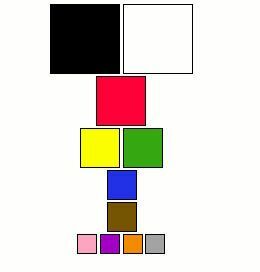 According to Berlin and Kay’s 1969 study of 20 languages, the first colours to be named in any language are black and white, followed by red, then yellow, green, and so on. Although the methodology was somewhat flawed, it paved the way for further study on universal patterns of colour naming, and is of interest to me in the way that humans create visual understanding. Pedagogy is the word of the week. It’s also reading week, or (un)reading week as it’s colloquially known here in the fine art department. This means that there is no formal teaching, which doesn’t really affect me, but did give me an excuse to get stuck into my reading list. Unfortunately, things don’t always work out as planned, so by the end of the week the only things I’d achieved were finishing Artists with PhDs and acquiring a small library fine. Undeterred, I decided to focus on quality over quantity and set about applying the text to my research and practice. Although at first, it could be assumed that the book is just a dry account of educational frameworks (as if there’s such a thing! ), it actually sheds a lot of light on critical and reflexive practice for artists in general. So far in this blog, I’ve been discussing the ins and outs of making the most of academic research, including the necessary training, but receiving a PhD really comes down to being able to demonstrate three things: 1. a clear understanding of your field, 2. the ability to produce publishable work, and 3. an original contribution to knowledge. However, the idea of an original contribution to knowledge (or new knowledge) also highlights the difficulties of visual art practice in an academic framework. 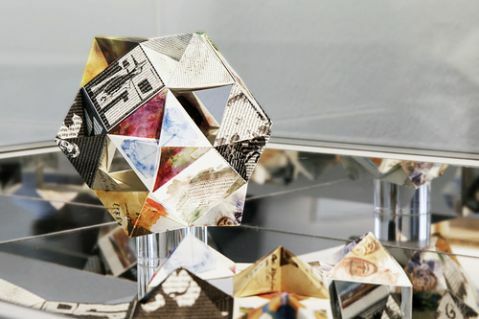 This is due to the fact that doctoral theses are assessed within the context of the academy, and, as a relatively new course, the PhD in studio art does not yet have the same amount of relevant literature at doctoral level as other subjects. For this reason, it would seem to make sense for any studio practice to be assessed in relation to the contemporary art scene and the theoretical aspect to be judged within the context of art history. At the end of the week I’d been invited to a lecture called Archival Encounters II: This Time It’s Pedagogic! 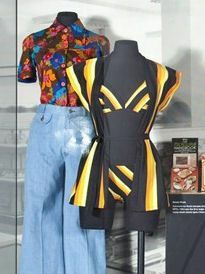 The talk was held in a room in the Marks & Spencer archive and focused on the use of archives in research-led teaching. As my previous experience includes gallery interpretation workshops, and I’m a sucker for bad puns, I decided it was perfect for me. The lecture included speakers from various disciplines including English, History and Linguistics and it was interesting to learn how they’d incorporated archives into their lesson and encouraged students to access them independently. For example, Ruth Payne discussed her work with groups on linguistics projects, specifically using the M&S archive as a case study to examine the language of gender in the work environment. Despite my interest and enthusiasm, up until that point I was struggling to see how I might engage art students with a resource like the M&S archive. However, after the lecture I started to think about the links between British society as reflected in commerce and the art created at that time. I discussed it with the head archivist at the collection and she also seemed keen to pursue it, so it looks like I might have another thing to do soon. When embarking on a PhD, there are undoubtedly lots of admin procedures and working methodologies to get your head round. Luckily, the university has specialist training and professionalisation courses for people working in academia. As I noted earlier, the course is a juggling act of practice, theory, teaching, and admin, not to mention finding time for a social life and maybe some sleep. That’s where the Starting Your Research Degree seminar comes in. The day-long session covers general aspects of managing the doctoral degree and gives attendees an opportunity to meet their peers from across the different departments. There was a good mix of participants at my session, with a wide variety of interests from the history of technology, through to theology in communities. We were able to discuss our projects in small groups and it was useful to listen to the way that different people approached their research question. After the initial ‘getting to know you session’, we found out a bit more about the specific protocols of our faculties and the opportunities that were available to us through the leap hub. As I’m in receipt of a scholarship to be on this course, I’m approaching it very much like a full time job, so it was also reassuring to hear from the talks that we should view ourselves as ‘early career researchers’ within the institution, rather than simply students. However, this also means that we have to think about the requirements of what makes a good researcher, and to take responsibility for our own development needs. 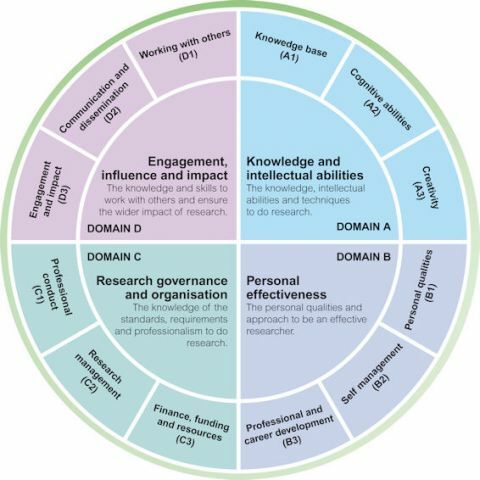 This information had been set out by research councils in the form of the Researcher Development Framework. Much like the TDNA tool, this is a chart with which to assess your research capabilities, but with a much broader scope (see image). This allows each researcher to address their training needs on an individual basis, and highlights considerations to be taken into account when conducting research. One such consideration when undertaking research is the ethical review process. In other words, any instance of interacting with people, or even with research materials, might require additional permissions to ensure professional conduct. This could mean anything from respecting copyright and data protection, to how to write agreements for conducting interviews. When you make artwork in a studio, it’s difficult to see at first how this might apply, but an initial discussion using possible scenarios, showed how important this knowledge and training can be. Being back in an academic environment really makes you appreciate the resources that you have at your disposal. In particular, I’ve become increasing interested in the idea of the archive, so it’s an amazing opportunity to have access to the rare and limited edition books up in Special Collections. I’ve been getting to grips with my new surroundings and commitments and hadn’t yet been to visit the archive, so it was with some trepidation that I went upstairs in the Brotherton Library and pressed the buzzer. I’m often overwhelmed by libraries and archives, because absolutely everything seems interesting. This can sometimes have an almost stultifying effect, as I can’t imagine ever being able to process all that information. However, I decided to confront this feeling and started to search through the system for relevant material. Following recent thoughts about the medieval in art, I decided to use that as a focus. This turned up some interesting finds, including ‘Styrr Itt Well’ [sic], a book of medieval recipes and potions with a foreword by Delia Smith. My thinking went off on a tangent however, when I came across a vanity press book of illustrated allegories. I started to consider the ontology of art, how meaning is ascribed to objects and images, and whether it would be possible, or even preferable to have more of a universal understanding of meanings within art. This means that my task now is to find yet more reading on that subject. Luckily, next week is reading week.